The Anthropocene is a proposed epoch dating from when human activities started to have a significant global impact on Earth's geology and ecosystems. The Anthropocence concept thus includes, but also transcends, the idea of anthropogenic climate change. 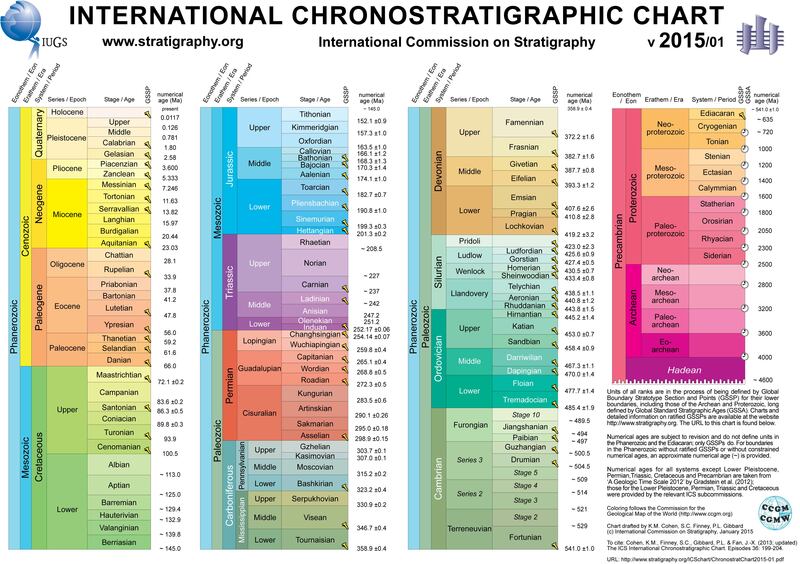 As of August 2016, neither the International Commission on Stratigraphy nor the International Union of Geological Sciences has yet officially approved the term as a recognized subdivision of geological time, although the Working Group on the Anthropocene (WGA) voted to formally designate the epoch Anthropocene and presented the recommendation to the International Geological Congress on 29 August 2016. Scientists in the Soviet Union appear to have used the term "Anthropocene" as early as the 1960s to refer to the Quaternary, the most recent geological period. Ecologist Eugene F. Stoermer subsequently used "Anthropocene" with a different sense in the 1980s and the term was widely popularized in 2000 by atmospheric chemist Paul J. Crutzen, who regards the influence of human behavior on Earth's atmosphere in recent centuries as so significant as to constitute a new geological epoch for its lithosphere. A January 2016 paper in Science investigating climatic, biological, and geochemical signatures of human activity in sediments and ice cores suggested the era since the mid-20th century should be recognised as a distinct geological epoch from the Holocene. In 2008 a proposal was presented to the Stratigraphy Commission of the Geological Society of London to make the Anthropocene a formal unit of geological epoch divisions. A large majority of that Stratigraphy Commission decided the proposal had merit and should be examined further. Independent working groups of scientists from various geological societies have begun to determine whether the Anthropocene will be formally accepted into the Geological Time Scale. Scientists have begun to use the term "anthropocene", and the Geological Society of America entitled its 2011 annual meeting: Archean to Anthropocene: The past is the key to the future. The Anthropocene has no agreed start-date, but some scientists propose that, based on atmospheric evidence, it may be considered to start with the Industrial Revolution (late eighteenth century). Other scientists link the new term to earlier events, such as the rise of agriculture and the Neolithic Revolution (around 12,000 years BP). Evidence of relative human impact - such as the growing human influence on land use, ecosystems, biodiversity, and species extinction - is substantial; scientists think that human impact has significantly changed (or halted) the growth of biodiversity. Those arguing for earlier dates posit that the proposed Anthropocene may have begun as early as 14,000 to 15,000 years before present, based on lithospheric evidence; this has led other scientists to suggest that "the onset of the Anthropocene should be extended back many thousand years";:1 this would be closely synchronous with the current term, Holocene. 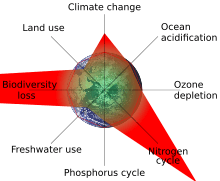 In January 2015, 26 of the 38 members of the International Anthropocene Working Group published a paper suggesting the Trinity test on July 16, 1945 as the starting point of the proposed new epoch. However a significant minority supports one of several alternative dates. In March 2015, a paper published in Nature suggested either 1610 or 1964 as the beginning of Anthropocene. Other scholars point to the diachronous character of the physical strata of the Anthropocene, arguing that onset and impact are spread out over time, not reducible to a single instant or date of start. Although the biologist Eugene Stoermer is often credited with coining the term Anthropocene, it was in geological informal usage in the mid-1970s. Paul Crutzen independently re-invented and popularized it. Stoermer wrote, "I began using the term 'anthropocene' in the 1980s, but never formalized it until Paul contacted me". Crutzen has explained, "I was at a conference where someone said something about the Holocene. I suddenly thought this was wrong. The world has changed too much. So I said: 'No, we are in the Anthropocene.' I just made up the word on the spur of the moment. Everyone was shocked. But it seems to have stuck. ":21 In 2008, Zalasiewicz suggested in GSA Today that an anthropocene epoch is now appropriate. The human impact on biodiversity forms one of the primary attributes of the Anthropocene. Humankind has entered what is sometimes called the Earth's sixth major extinction. Most experts agree that human activities have accelerated the rate of species extinction. The exact rate remains controversial – perhaps 100 to 1000 times the normal background rate of extinction. In 2010 a study published in Nature found that "marine phytoplankton – the vast range of tiny algae species accounting for roughly half of Earth's total photosynthetic biomass – had declined substantially in the world's oceans over the past century. From 1950 alone, algal biomass decreased by around 40%, probably in response to ocean warming – and that the decline had gathered pace in recent years. Some authors have postulated that without human impacts the biodiversity of the planet would continue to grow at an exponential rate. – implying that human activities accelerate or exacerbate global warming. Increases in global rates of extinction have been elevated above background rates since at least 1500, and appear to have accelerated in the 19th century and further since. A 13 July 2012 New York Times op-ed by ecologist Roger Bradbury predicted the end of biodiversity for the oceans, labelling coral reefs doomed: "Coral reefs will be the first, but certainly not the last, major ecosystem to succumb to the Anthropocene." This op-ed quickly generated much discussion among conservationists; The Nature Conservancy rebutted Bradbury on its website, defending its position of protecting coral reefs despite continued human impacts causing reef declines. In a pair of studies published in 2015, extrapolation from observed extinction of Hawaiian snails led to the conclusion that "the biodiversity crisis is real", and that 7% of all species on Earth may have disappeared already. Human predation was noted as being unique in the history of life on Earth as being a globally distributed 'superpredator', with predation of the adults of other apex predators and with widespread impacts on food webs worldwide. Permanent changes in the distribution of organisms from human influence will be identifiable in the geologic record. Many species have been documented moving into regions that were once too cold for them, often at rates faster than initially expected. This has occurred in part as a result of evolving climate, but also in response to farming and fishing, and the accidental introduction of non-native species to new areas by global travel. The ecosystem of the entire Black Sea may have changed during the last 2000 years as a result of nutrient and silica input from eroding deforested lands along the Danube River. One geological symptom resulting from human activity is increasing atmospheric carbon dioxide (CO2) content. During the glacial–interglacial cycles of the past million years, natural processes have varied CO2 by approximately 100 ppm (from 180 ppm to 280 ppm). As of 2013, anthropogenic net emissions of CO2 increased atmospheric concentration by a comparable amount from 280 ppm (Holocene or pre-industrial "equilibrium") to approximately 400 ppm, with 2015–16 monthly monitoring data of CO2 displaying a rising trend above 400 ppm. This signal in the Earth's climate system is especially significant because it is occurring much faster, and to an enormously greater extent, than previous, similar changes. Most of this increase is due to the combustion of fossil fuels such as coal, oil, and gas, although smaller fractions are the result of cement production and land-use changes (e.g. deforestation). Human activities like deforestation and road construction are believed to have elevated average total sediment fluxes across the Earth's surface. However, construction of dams on many rivers around the world mean the rates of sediment deposition in any given place do not always appear to increase in the Anthropocene. For instance, many river deltas around the world are actually currently starved of sediment by such dams, and are subsiding and failing to keep up with sea level rise, rather than growing. Increases in erosion due to farming and other operations will be reflected by changes in sediment composition and increases in deposition rates elsewhere. In land areas with a depositional regime, engineered structures will tend to be buried and preserved, along with litter and debris. Litter and debris thrown from boats or carried by rivers and creeks will accumulate in the marine environment, particularly in coastal areas. Such manmade artifacts preserved in stratigraphy are known as "technofossils". In terms of trace elements, there are distinct signatures left by modern societies. For example, in the Upper Fremont Glacier in Wyoming, there is a layer of chlorine present in ice cores from 1960s atomic weapon testing programs, as well as a layer of mercury associated with coal plants in the 1980s. From 1945 to 1951, nuclear fallout is found locally around atomic device test sites, whereas from 1952 to 1980, tests of thermonuclear devices have left a clear, global signal of excess 14C, 239Pu, and other artificial radionuclides. The highest concentration of radionuclides was in 1964, one of the dates which has been proposed as a possible benchmark for the start of the formally defined Anthropocene. The Anthropocene Working Group voted on the "Base/beginning of the Anthropocene", and most members favored some time around 1950. A plausible starting point of the Anthropocene could be at c. 2,000 years ago, which roughly coincides with the start of the final phase of Holocene, the Subatlantic. At this time, the Roman Empire encompassed large portions of Europe, the Middle East and North Africa. In China the classical dynasties were flowering. The Middle kingdoms of India had already the largest economy of the ancient and medieval world. The Napata/Meroitic kingdom extended over the current Sudan and Ethiopia. The Olmecs controlled central Mexico and Guatemala, and the pre-Incan Chavín people managed large areas of northern Peru. Although often apart from each other and intermixed with buffering ecosystems, the areas directly impacted by these civilizations and others were large. Additionally, some activities, such as mining, implied much more widespread perturbation of natural conditions.Over the last 11,500 years or so humans have spread around Earth, greatly increased in number and profoundly altered the material world. They have taken advantage of global environmental conditions not of their own making.The end of the last glacial period – when as much as 30% of Earth’s surface was ice-bound – led to a warmer world with more liquid hydrogen dioxide (H2O). Although humans existed in the previous Pleistocene epoch, it is only in the recent Holocene period that they have flourished. Today there are more humans alive than at any previous point in Earth’s history. Crutzen proposed the Industrial Revolution as the start of Anthropocene. Lovelock proposes that the Anthropocene began with the first application of the Newcomen atmospheric engine in 1712. Although it is apparent that the Industrial Revolution ushered in an unprecedented global human impact on the planet, much of Earth’s landscape already had been profoundly modified by human activities. The human impact on Earth has grown progressively, with few substantial slowdowns. A useful candidate for this purpose is the pedosphere, which can retain information of its climatic and geochemical history with features lasting for centuries or millennia. Human activity is now firmly established as the sixth factor of soil formation. It affects pedogenesis either directly, by, for example, land levelling, trenching and embankment building for various purposes, organic matter enrichment from additions of manure or other waste, organic matter impoverishment due to continued cultivation, compaction from overgrazing or, indirectly, by drift of eroded materials or pollutants. Anthropogenic soils are those markedly affected by human activities, such as repeated ploughing, the addition of fertilizers, contamination, sealing, or enrichment with artefacts (in the World Reference Base for Soil Resources they are classified as Anthrosols and Technosols). They are recalcitrant repositories of artefacts and properties that testify to the dominance of the human impact, and hence appear to be reliable markers for the Anthropocene. Some anthropogenic soils may be viewed as the ‘golden spikes’ of geologists (Global Boundary Stratotype Section and Point), which are locations where there are strata successions with clear evidences of a worldwide event, including the appearance of distinctive fossils. Drilling for fossil fuels has also created holes and tubes which are expected to be detectable for millions of years. The concept of the Anthropocene has also been approached via humanities such as philosophy, literature and art. In the scholarly world, it has been the subject of increasing attention through special journal issues, conferences, and disciplinary reports. The Anthropocene, its attendant timescale, and ecological implications prompts questions about death and the ends of civilization, memory and archives, the scope and methods of humanistic inquiry, and emotional responses to the "end of nature". It has been also criticized as an ideological construct. Some environmentalists on the political left, such as Jason W Moore, suggest that "Capitalocene" is a more historically appropriate term. According to Jedediah Purdy, law professor at Duke University, "Anthropocene is too focused on humanity as a species, and as a result, it ignores the systematic forms of inequality, such as imperialism and racism, which have shaped the world." ↑ Castree, Noel (2015). "The Anthropocene: a primer for geographers." (PDF). Geography. Vol 100 part 2: 66. 1 2 George Dvorsky. "New Evidence Suggests Human Beings Are a Geological Force of Nature". Gizmodo.com. Retrieved 2016-10-15. ↑ Revkin, Andrew C. (May 11, 2011). "Confronting the 'Anthropocene'". New York Times. Retrieved 25 March 2014. ↑ Zalasiewicz, J.; et al. (2010). "The New World of the Anthropocene". Environment Science & Technology. 44 (7): 2228–2231. Bibcode:2010EnST...44.2228Z. doi:10.1021/es903118j. 1 2 Sahney, S.; Benton, M. J. & Ferry, P. A. (2010). "Links between global taxonomic diversity, ecological diversity and the expansion of vertebrates on land" (PDF). Biology Letters. 6 (4): 544–547. doi:10.1098/rsbl.2009.1024. PMC 2936204 . PMID 20106856. Payne, Jonathan L.; Bush, Andrew M.; Heim, Noel A.; Knope, Matthew L.; McCauley, Douglas J. (2016). "Ecological selectivity of the emerging mass extinction in the oceans". Science. 353 (6305): 1284-1286. doi:10.1126/science.aaf2416. Pennisi, Elizabeth (October 18, 2016). "People are hunting primates, bats, and other mammals to extinction". Science. Retrieved November 21, 2016. ↑ Lewis, Simon L.; Maslin, Mark A. (March 2015). "Defining the Anthropocene" (PDF). Nature. 519: 171–180. Bibcode:2015Natur.519..171L. doi:10.1038/nature14258. ↑ Edgeworth, Matt; Richter, Dan deB; Waters, Colin; Haff, Peter; Neal, Cath; Price, Simon James (2015-04-01). "Diachronous beginnings of the Anthropocene: The lower bounding surface of anthropogenic deposits". The Anthropocene Review. 2 (1): 33–58. doi:10.1177/2053019614565394. ISSN 2053-0196. ↑ Pearce, Fred (2007). With Speed and Violence: Why Scientists fear tipping points in Climate Change (PDF). Boston, USA: Beacon Press. ISBN 978-0-8070-8576-9. Retrieved 2016-09-05. ↑ Claire Régnier; Guillaume Achaz; Amaury Lambert; Robert H. Cowie; Philippe Bouchet & Benoît Fontaine (5 May 2015). "Mass extinction in poorly known taxa". PNAS. 112: 7761–7766. doi:10.1073/pnas.1502350112. ↑ Darimont, Chris T.; Fox, Caroline H.; Bryan, Heather M.; Reimchen, Thomas E. (2015-08-21). "The unique ecology of human predators". Science. 349 (6250): 858–860. doi:10.1126/science.aac4249. ISSN 0036-8075. PMID 26293961. ↑ Harvey, Fiona; Correspondent, Environment. "Climate change driving species out of habitats much faster than expected". the Guardian. Retrieved 2015-11-08. ↑ "BBC NEWS - Science/Nature - Deep ice tells long climate story". bbc.co.uk. Retrieved 28 November 2015. ↑ "Media note: Anthropocene Working Group (AWG)". University of Leicester. Retrieved 2016-09-14. ↑ Smith, B.D. & Zeder, M.A. (2013). "The onset of the Anthropocene". Anthropocene. 4: 8–13. doi:10.1016/j.ancene.2013.05.001. ↑ Adler, Robert (2003-12-11). "Early farmers warmed Earth's climate". New Scientist. Retrieved 2008-02-04. ↑ Ruddiman, William F. (2003). "The anthropogenic greenhouse era began thousands of years ago" (PDF). Climatic Change. 61 (3): 261–293. doi:10.1023/B:CLIM.0000004577.17928.fa. ↑ "Interglacial diversity : Abstract : Nature Geoscience". nature.com. Retrieved 28 November 2015. ↑ Boyle, J. F.; Gaillard, M.-J. ; Kaplan, J. O. & Dearing, J. A. (2011). "Modelling prehistoric land use and carbon budgets: A critical review". The Holocene. 21: 715–722. doi:10.1177/0959683610386984. 1 2 Certini, G. & Scalenghe, R. (2011). "Anthropogenic soils are the golden spikes for the Anthropocene". The Holocene. 21 (8): 1269–74. doi:10.1177/0959683611408454. ↑ Castree, Noel (2015). "The anthropocene : a primer for geographers" (PDF). geography. Vol 100: 66. ↑ Douglas, I.; Hodgson, R. & Lawson, N. (2002). "Industry, environment and health through 200 years in Manchester". Ecological Economics. 41 (2): 235–55. doi:10.1016/S0921-8009(02)00029-0. ↑ Kirch, P. V. (2005). "The Holocene record". Annual Review of Environment and Resources. 30 (1): 409–40. doi:10.1146/annurev.energy.29.102403.140700. ↑ Zalasiewicz, J.; Williams, M.; Steffen, W. & Crutzen, P. J. (2010). "Response to "The Anthropocene forces us to reconsider adaptationist models of human-environment interactions"". Environmental Science Technology. 44 (16): 6008. Bibcode:2010EnST...44.6008Z. doi:10.1021/es102062w. ↑ Zalasiewicz, J.; et al. (2011). "Stratigraphy of the Anthropocene". Philosophical Transactions of the Royal Society A. 369 (1938): 1036–55. Bibcode:2011RSPTA.369.1036Z. doi:10.1098/rsta.2010.0315. ↑ Richter, D. deB. (2007). "Humanity's transformation of Earth's soil: pedology's new frontier". Soil Science. 172 (12): 957–67. doi:10.1097/ss.0b013e3181586bb7. ↑ Timothy Clark, ed. (2012-12-01). "Special Issue: Deconstruction in the Anthropocene". Oxford Literary Review. 34 (2): v–vi. doi:10.3366/olr.2012.0039. Retrieved 2014-07-21. ↑ Humanities Research Centre, Australian National University (2012-06-13). Anthropocene Humanities: The 2012 Annual Meeting of the Consortium of Humanities Centers and Institutes. Canberra, Australia. Retrieved 2014-07-21. ↑ Rachel Carson Center for Environment and Society at LMU-Munich; Alexander von Humboldt Transatlantic Network in the Environmental Humanities (2013-06-14). Culture and the Anthropocene. Munich, Germany. Retrieved 2014-07-21. ↑ Wenzel, Jennifer (2014-03-14). "Climate Change". State of the Discipline Report: Ideas of the Decade. American Comparative Literature Association. Retrieved 2014-07-21. ↑ Scranton, Roy (2013-11-10). "Learning How to Die in the Anthropocene". New York Times: Opinionator. Retrieved 2014-07-17. ↑ Colebrook, Claire (2014-01-27). "The Anthropocene and the Archive". The Memory Network: Exchanges. Retrieved 2014-07-21. ↑ Nowviskie, Bethany (2014-07-10). "digital humanities in the anthropocene". nowviskie.org. Retrieved 2014-07-10. ↑ Ronda, Margaret (2013-06-10). "Mourning and Melancholia in the Anthropocene". Post45. Retrieved 2014-07-21. ↑ Andreas Malm. The Anthropocene Myth. Jacobin. March 2015. ↑ Davies, Jeremy (2016). The Birth of the Anthropocene. Oakland, CA, USA: University of California Press. pp. 94–95. ISBN 9780520289970. ↑ Ross Anderson. "Nature Has Lost Its Meaning." The Atlantic. November 30, 2015. "The Anthropocene", copy of original International Geosphere-Biosphere Programme article on Crutzen's website, May 2000.